Cyclescheme is the UK’s number one administrator for the Government's Green Transport Plan Initiative. Cyclescheme offers the most admin-friendly scheme for employers and the greatest choice of bikes and equipment for employees. Cyclescheme is partnered with Nicholson's Cycles, so if you are looking for a new bike and want to save some money give us a call on 01382 461212 for further details. Cyclescheme End of Hire Process from Cyclescheme Ltd on Vimeo. 1. Once an employer has entered into a contract with Cyclescheme (employers can sign up via this website) any employees wishing to participate need to visit a Cyclescheme Partner Shop to choose the bike and, if required, safety equipment. 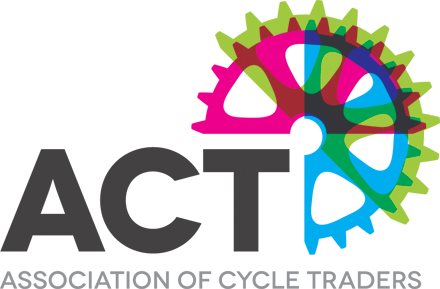 Find participating bike shops using the search on this website. 2. Employees then apply for a Cyclescheme Certificate by finding out their Cyclescheme Employer Code and entering the information provided by the bike shop online. The employee will usually sign an online Hire Agreement at this time. 3. If the employer approves their application they will countersign the Hire Agreement and pay Cyclescheme for the full retail price of the bike and equipment. 4. Cyclescheme will then issue a Certificate to either the employee or the employer, wherever is requested. 5. The Certificate is then redeemed in the bike shop and exchanged for the bike package. Salary sacrifice then commences over the hire period (usually 12 months). 6. At the end of the hire period the owner of the bike may choose to offer the employee ownership of the bike for a full market value. We also accept Halfords C2W vouchers which is not that widley known. Pleases call if you need more information on 01382 461212. Make big Tax and National Insurance savings and get fit at the same time with Cyclescheme and Cycle Plus scheme.